Did you know that Charlie Pants Music teaches singing lessons to students in Korea and has several talented and rising Korean stars? 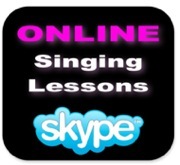 Singing Lessons are all done via Skype and students love it. Take from Level 4 Speech Level Singing Teacher Leah Stone today. Check it out. Surprising news has recently emerged regarding the well-loved singer IU, who is reported to have earnings over $10 million USD in the year of 2011. This startling salary has surpassed various idols prominent in the K-Pop scene, especially SNSD, Wonder Girls, and KARA. IU’s yearly earnings has confirmed her place as both number one in successful comeback and in the highest revenue this year. On December 25, Gaon music charts placed IU’s “Last Fantasy” album, which debuted on November 29, as number one on their album rankings. Also, IU’s title song “You and I” placed at the very top on Gaon’s top ten singles chart in December, which was practically undefeatable through the weeks of November 27 to December 17. All of IU’s songs on her “Last Fantasy” album have placed within the top 20 on Gaon’s top 100 song list. IU is already known to have recorded $6 million USD in record sales last quarter, but the newly revealed figure of $10 million USD annually has stunned a lot of people. IU’s last album, “Real,” which debuted on December 9 2010, had similar music chart dominance as “Last Fantasy” and her title song for that album was “A Good Day.” This single gained instant popularity due to IU’s amazing ability to reach three stages of consecutive high notes, an attempt clearly heard in the middle of the song, and this feature along with the song’s cute lyrics gained popularity not only amongst the youth but the middle-aged audience as well. Here is IU's latest hit "You & I" she has a beautiful voice. Check it out. Have you heard about Charlie Pants Music? It is a virtual music studio offering online vocal lessons to students around the world. Vocal lessons are available for the beginner student all the way through to the advanced and professional student. 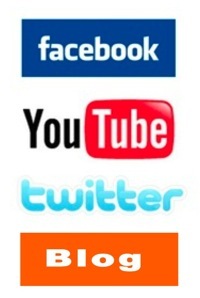 Some reasons singing students love taking singing lessons online. 4. Singing students can live anywhere in the world and study with Leah Stone, a certified Speech Level Singing Instructor. Charlie Pants Music also offers in person lessons at its vocal studio location in Denver/Boulder, Colorado. Leah Stone also travels regularly to teach singing lessons and vocal classes in Boston, New York City, Chicago, Denver, Boulder, Washington DC, Richmond, Los Angeles, and Asia.